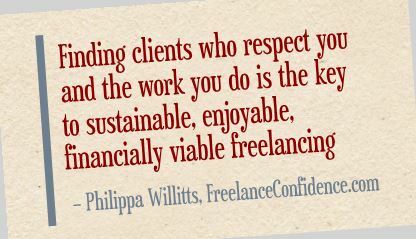 Freelancers have heard most of these – numerous times – in their career and it is utterly infuriating! To have our skills and experience devalued and downgraded by people looking for cheap writing is an ongoing challenge and it demeans us and the work we do. However, it can also feel inescapable. If enquiry after enquiry after enquiry challenges the fees we request then we can start to question ourselves and wonder if what we do is really worth a decent wage. Is there anybody who pays a decent fee for the content we create? Fortunately, the answer is yes. The answer is absolutely yes! The thing is, the clients who want to pay $5 an article will never pay $50 an article. Even if you can negotiate your way up to $6.50 an article, you are still working your pants off for a fee that will never work in the real world. It’s not sustainable and, frankly, it’s not respectful. The clients who pay $50 or $250 or $500 are not to be found on mass freelancing websites and they are not the people who try to negotiate down your fees before they even hear what you can offer them. They are not the ones who want ‘test pieces’ for free or who demand added extras or ridiculously short deadlines. However, many freelancers feel stuck and confused and have no idea how to escape from the trap of the content mills and mass freelancing websites that thrive on that ‘race to the bottom’ culture. 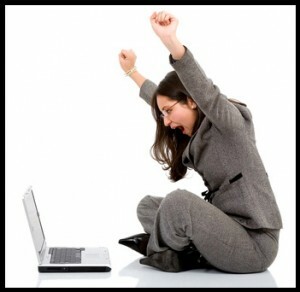 Escape from content mills and low-paying clients for good! Share the post "Freelancers Deserve Better"